You are here: Home / Reviews / P90X3 vs Core de Force: Do You Want a Commitment or a Quick Fix? First of all, if you are deciding between P90X3 vs Core de Force, take a minute to decide what intensity level you’d feel most comfortable with, and how long you realistically can dedicate to a exercise program. The subtle differences in P90X vs P90X2 vs P90X3 are small compared to what you’ll face when you begin the Core de Force program. If your top priority is cutting fat fast and getting the most out of your workouts, Core de Force is a better option than P90X3. However, there are more pros to P90X3 in terms of consistency, variety, and customization that ultimately make it the best choice in our book. Below we break down which program is better suited for different users in our P90X3 vs Core de Force review. P90X3, as opposed to the original P90X and P90X2, condensed from an hour long workout to just 30 minutes. There is a good mix of movements in the 16 workouts that come with the basic package. One key difference between P90X3 vs Core de Force is that as you progress in P90X3, you begin resistance training with bands, weights, and use a pull up bar you need to provide. One of Core de Force’s biggest positives is that you will only use your body in the workouts. This is great for someone who doesn’t always workout in the same dedicated space. P90X is also a 90 day program, whereas Core de Force is a 30 day program. While you’ll notice results after 30 days, most users suggest going through the program twice for best results. As the name suggest, Core de Force is a core-focused workout that uses movements inspired by MMA movements like kicks, punches, and combination sequences. P90X3 tends to be more “traditional” exercise movements like pushups, high knees, and jumps. Both programs have modifier workouts where someone on the screen goes a bit slower and changes the movements so you can keep up at home. Finally, as we explain below, there is a pretty significant cost difference between P90X3 vs Core de Force. The basic level for P90X3 is $139.80. That is nearly twice the cost of Core de Force, which is $72.80. In both programs, you receive a workouts calendar and nutrition plan (though P90X3 is probably more detailed) to go along with the program. You get a resistance band with P90X3, but you’ll need to get more equipment like a pull up bar and weights when you go some of the strength building workouts. P90X3 has 16 different workouts that are each 30 minutes long. The program first asks you what your goal is, and depending on whether you’re trying to build mass or lose fat, and determines the sequence of workouts you’ll do over the 90 days. Each workouts falls into one of four types: P90X3 Resistance, P90X3 Power, P90X3 Cardio, and Core, Flex, and Balance. Core de Force has ten different workouts that are broken up into three types: MMA workouts, Bodyweight Training, and Relief and Recovery. Each of these workouts uses longer, three minute series of movements to simulate a MMA round. You are expected to workout each day during the 30 day program. Workouts last anywhere from 20 minutes to 50 minutes. Ultimately, we like P90X3 for it’s consistency in how long each exercise is, and the fact that you can tailor it specifically to your goals. You pay a little more and don’t have the freedom to do all of the exercises anywhere you want (unless you can travel with a pull up bar and some weights). 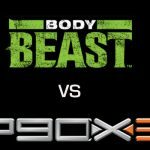 But, in terms of a great fat burning workout that also will build lean muscle, P90X3 is superior to Core de Force for most users. 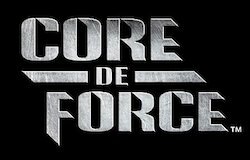 Core de Force is great for those who want to get out a little more aggression and like to burn calories by throwing haymakers and jabs. There is a lot to like here, especially if you are into MMA fighting. The three minute rounds will wear you out, but the workouts as a whole tend to fly by. Core de Force will probably burn more calories in the first 30 days than P90X3, but you won’t build much lean muscle like you will with P90X3. Still, the price and the fact that the whole program only last a month will appeal to many people and might make it the best workout for you! Overall, P90X3 KO’s Core de Force due to better variety of workouts and customization of program. This is great. I have been trying to decide between the two programs! I like that Core de Forces doesn’t need any equipment, seems like it would be easier to travel with. But I feel like P90X3 is the best option. 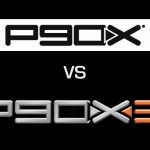 What P90X3 equipment is needed for each workout? A very popular question: do you need equipment for P90X3? It is possible to do P90X3 without any equipment, but I recommend at a minimum a resistance band. You can get started with the program and see if you want to take the next step and get a pull up bar. After those two items, optional items include dumbbells and a yoga mat. This helped a lot, thanks, do you know if there will be a P90X4? We are constantly monitoring this, but it has been over 3 years since P90X3 and we can’t find anything on social media, from Tony Horton (blog, social, etc. ), or anywhere on the BeachBody forums. So at this point we don’t know, but we will be actively looking out and will post as soon as anything concrete is announced.